Christopher Isaac Stone was born on 10 March 1974, in Boston, Massachusetts USA, and is an entrepreneur, software engineer, filmmaker and author, probably best known as a co-founder of Twitter. 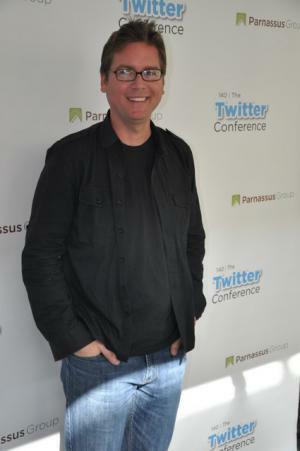 So just how wealthy is Biz Stone? Sources state that Stone has acquired a net worth of over $250 million, as of mid-2016. His wealth has mostly been accumulated through his involvement in computer technology through creating one of the world’s most popular social platforms, Twitter. Stone attended Wellesley High School in Wellesley, Massachusetts. Upon matriculating he enrolled in Boston’s Northeastern University and also attended the University of Massachusetts, Boston. However, he never graduated from either of the two colleges. He began working as a web designer at Boston’s Little, Brown & Co. In 1999 he participated in creating an online reviews community called Xanga, and served as the company’s Creative Director until 2001. He then moved back to his hometown and worked as a blogger out of his mother’s basement. In 2003 Stone became part of the blogger team at Google, where he remained until 2005. He then began creating a new internet start-up, a podcasting website called Odeo, with Evan Williams, Jack Dorsey, and Noah Glass. In 2006 they formed Obvious Corporation, and turned Odeo into an online social networking service today known as Twitter, with Stone serving as Creative Director of the company. The platform’s popularity developed rapidly; it had 100 million tweets posted per quarter in 2008, and in 2009 the company reached third place in the highest-ranking social networking site list, being previously ranked 29th. It’s revenues for 2009 were $400,000 in the third quarter and $4 million in the fourth quarter, then in 2010 the company made $45 million in revenues. Stone’s wealth was considerably boosted. However, in 2011 he left the company and, along with Williams, re-launched Obvious Corporation, out of which they started a new online publishing platform called Medium, which later started to operate as an independent business owned by Medium Corporation. The following year Stone founded a start-up called Jelly Industries, along with Ben Finkel, and has remained the company’s CEO since. In 2014 he released a question-and-answer-based social mobile app called Jelly, and later another app called Super.me, based on sharing brief ideas with friends and people nearby. All added to his net worth. Aside from creating apps, Stone is an angle investor, who has invested in various companies such as Square, Nest Labs, Workpop, GoodFit, Beyond Meat and others. At some of these companies he has served as a board member, and has also served as an adviser to a number of other Web-site companies. He is a Visiting Fellow at The University of Oxford and an Executive Fellow at Berkeley. Stone served as executive producer in the 2007 science series about the development of the computer industry called “WIRED”. He made his directorial debut with the 2013 short film for Canon’s Project Imaginat10n – the film is called “Evermore” and is based on Edgar Allan Poe’s poem “The Raven”. Stone is also author of three books: the 2002 “Blogging: Genius Strategies for Instant Web Content”, the 2004 “Who Let the Blogs Out? : A Hyperconnected Peek at the World of Weblogs”, and the 2014 “Things A Little Bird Told Me: Confessions of the Creative Mind”. All added somewhat to his net worth. He has received a number of awards and honors during his career, such as the International Center for Journalism Innovation Award and The Economist’s Innovation Award. He was named Entrepreneur of the Decade by INC Magazine, TIME listed him as one of the 100 Most Influential People in the World, Vanity Fairs listed him as one of their Top Ten Most Influential People of the Information Age, and GQ magazine named him Nerd of the Year. When talking about his personal life, Stone has been married to writer and artist Livia Stone since 2007. They have one son together and the family resides in Marin County, California. Stone is involved in philanthropy; along with his wife, he founded the Biz and Livia Stone Foundation, supporting education and conservation in California. He also supports organizations such as DonorsChoose and Product (RED). "Blogging: Genius Strategies for Instant Web Content" (2002) "Things A Little Bird Told Me: Confessions of the Creative Mind" (2014) "Who Let the Blogs Out? : A Hyperconnected Peek at the World of Weblogs" (2004) $250 Million 1974 A Little Bird Told Me Associated Press Berkeley Beyond Meat Biz Stone Biz Stone Net Worth Blogger (service) Boston Businessperson California Carmen Ortiz CEOs Chief executive officer Company Corporation Creative director CVS Pharmacy DonorsChoose Drug Enforcement Administration Edgar Allan Poe Education Entrepreneurship Evan Williams Evermore (book) Filmmaking Fiscal year Foundation (nonprofit) Google Government Hyperconnected space Hyperlink Isaac Stone Jack Dorsey Journalism Livia Stone Livia Stone (m. 2007) March 10 Marin County Massachusetts Mobile app Nest Labs Net worth New Hampshire Noah Glass Northeastern University Odeo Online and offline podcast Revenue Rhode Island Short film Social networking service Software Engineer Startup company Television Producer The Raven Twitter United States United States Attorney United States of America University of California University of Oxford Wellesley High School Who let the blogs out?